Here is some information on our Christmas and new year opening times. Our email support is now closed until January 3rd and we probably won’t be on social media much until that time either. We are shipping the morning of December 24th, then the 27th and 28th. Service resumes as normal on January 3rd. 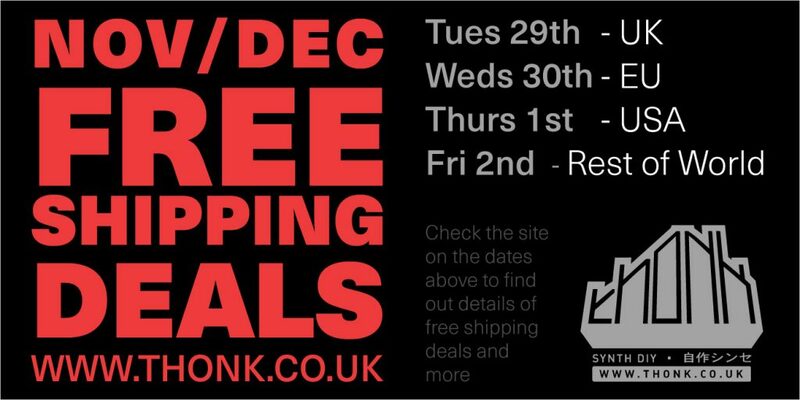 It’s free shipping on all UK orders until the end of December too. If you are managing to take some time off in the next few weeks we hope you have a peaceful and synthetic time. 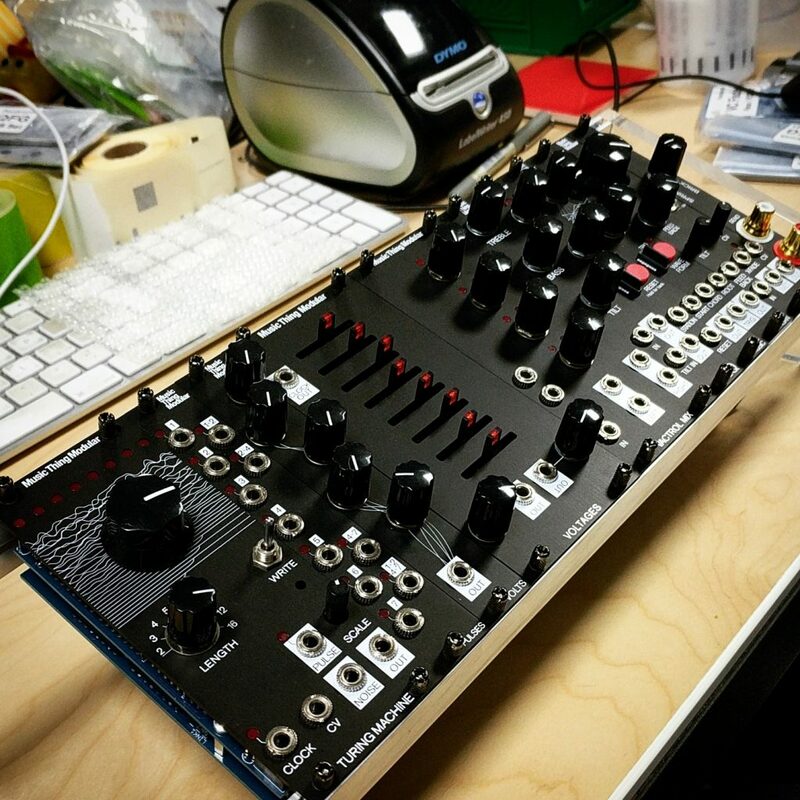 We are looking forward to serving up lots more awesome modular stuff in 2019! If you are outside the UK and don’t select a Fedex or UPS option we don’t guarantee delivery before Xmas. If you select a courier option then you are 100% liable for any Tax, Duty or Brokerage fees. If the package is undeliverable for any reason and the item is returned, you must pay the reshipment cost. You must provide a real email and phone number. If you select Fedex or UPS as the courier and they cannot contact you to arrange shipment, you must pay the reshipment cost. If your country isn’t listed above we aren’t able to offer you a free shipping option. 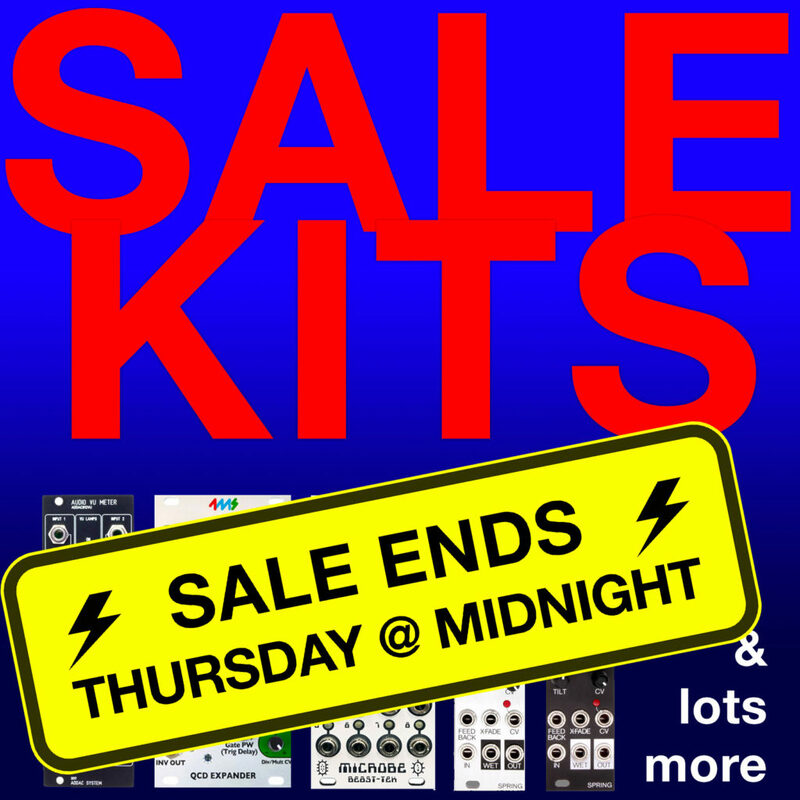 Sale ends Thursday at Midnight! Our annual sale is on Tuesday October 16th 2018 this year. If you’re bored of all those GDPR emails then don’t worry, you won’t be getting a mail from Thonk asking you to confirm your subscription to our mailing list. We’ve always added people to our list responsibly and using positive double opt in so we don’t need to seek re-consent. We never added you unless you actively ticked a box and then later clicked a link in an email. However! you can of course can choose to unsubscribe at any time, just click the unsubscribe link in any previous or future email or contact support@thonk.co.uk for help with any queries or requests around data privacy. We will be changing our terms and conditions and privacy policies to comply with GDPR soon and you’ll be given the option to review these in the coming weeks. How do I find my order tracking? first click on Order History on the top bar. 2. Then find and click on the Order Number you are interested in. 3. Finally hit the Track button on the order. If there is no Track button available it means you didn’t choose to pay for a service with tracking. If there is no Track button available it means you didn’t choose to pay for a service with tracking. 4. You can confirm the shipping service you chose to pay for further down the page. 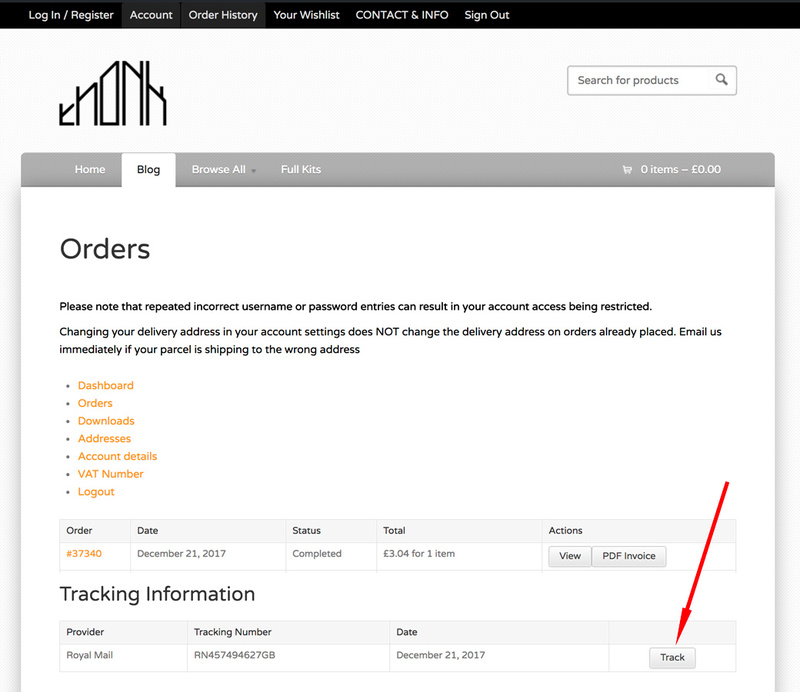 If your shipping method simply is stated as Airmail or First Class (not ‘Signed For’) then you didn’t choose to pay for any tracking or delivery confirmation. Your tracking code will also work on the website of your countries national postal service, e.g. USPS, Deutsche Post, La Poste, Post.NL etc. We guarantee that all orders placed before midday on Weds 20th December 2017 will leave the Thonk building BEFORE Xmas. Orders placed after midday on Weds 20th December 2017 will start shipping on Tuesday 2nd January. Orders will leave the Thonk building in the order they were originally received. 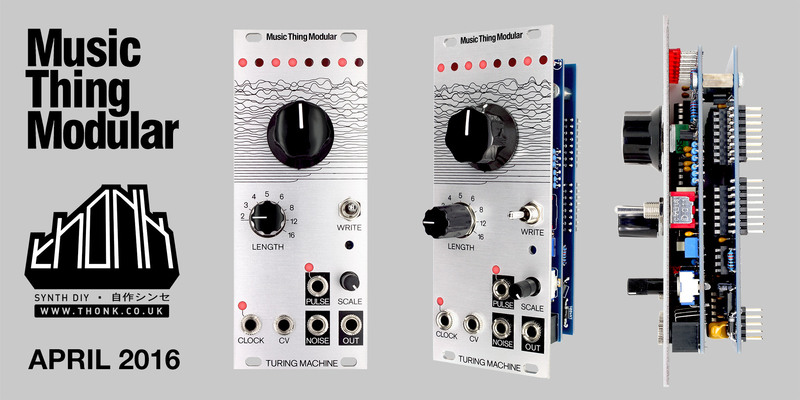 We now have a limited range of Black panels for all Music Thing Modular modules! 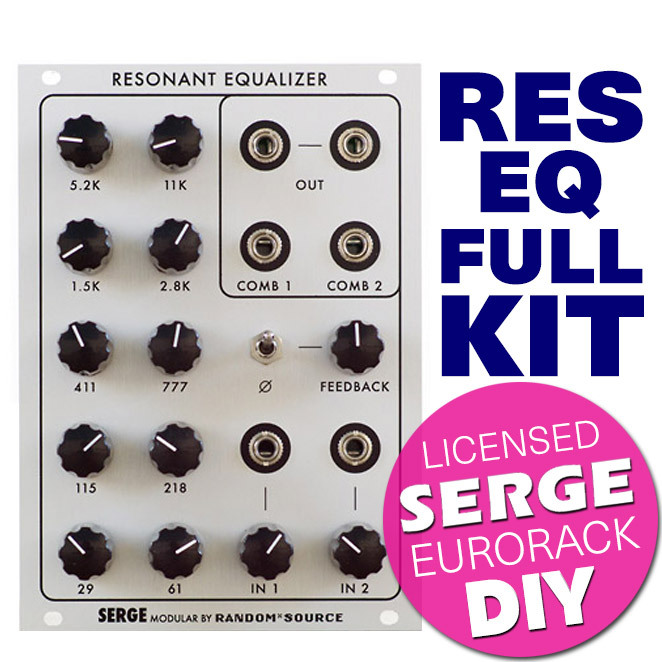 For all DIY kits with Black panels go here and click through. For all Panel and PCB sets with Black panels go here. If you just want to buy the Black panels on their own go here. Our 5th birthday sale has now ENDED. 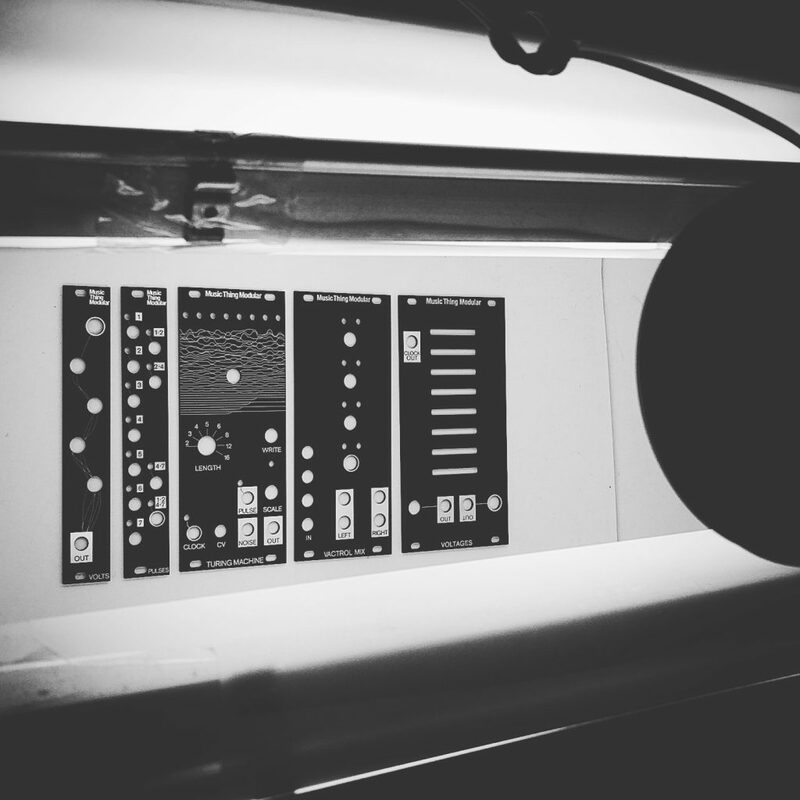 Half of us are at www.superbooth.com running the Music Thing Modular booth this week. Orders are still being taken and shipped during this period, it may just take 12-48 hours longer than normal. Back to our normal speedy despatches from Monday April 24th! You can catch up with what we’re up to in Berlin and see our Thonk coverage of all our suppliers on our new YouTube Channel and also via Instagram. Please note that the last orders to leave Thonk this week must be placed by 3PM (GMT) tomorrow – Thursday 22nd December 2016. The site will be open as usual and accepting orders over the holiday period, but all orders placed AFTER 3PM (GMT) on Thursday 22nd December 2016 will ship in the week commencing Tuesday January 3rd 2017. 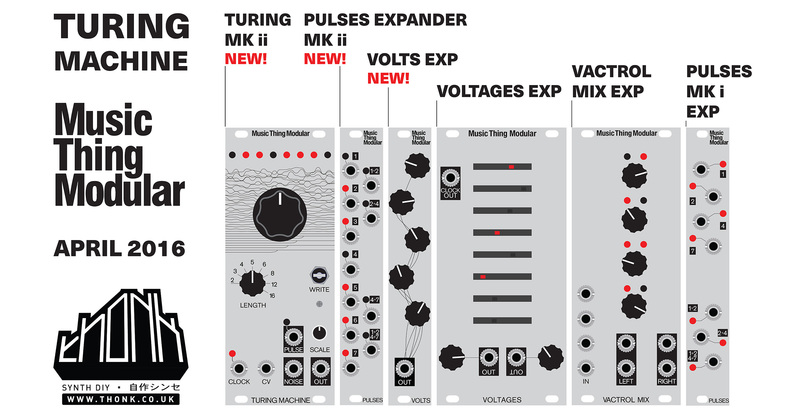 We hadn’t expected to have these kits finalised before Xmas… but we do! We are only producing a limited run of these right now as they are very time-consuming to produce. Click through to purchase.